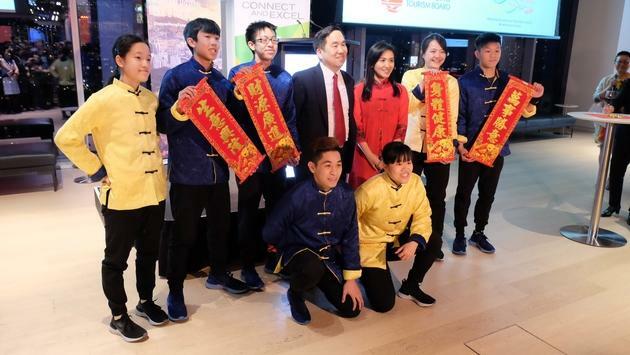 Michael Lim of the Hong Kong Tourism Board (red tie) and Emily Mo of the Hong Kong Economic and Trade Office Toronto (red dress) pose with Hong Kong champion rope skipping team members at a Chinese New Years event in Toronto. Visits to Hong Kong reached a record 65.1 million last year, and the destination shows no signs of slowing down. 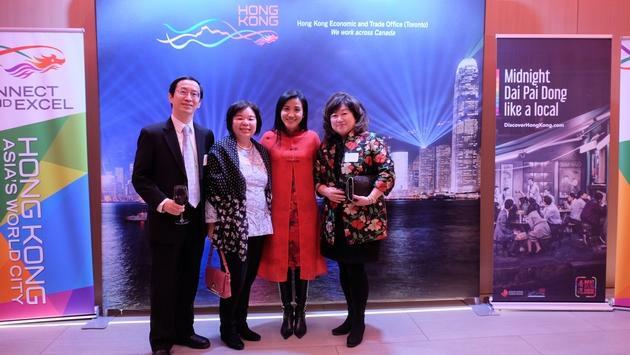 The Hong Kong Tourism Board and The Hong Kong Economic and Trade Office (Toronto) put on a wonderful event in downtown Toronto on Friday night, welcoming more than 100 guests to an event in honour of Chinese New Year. Guests at the Year of the Pig event posed with adorable stuffed pigs, sipped great wine and dined on lamb chops, Peking duck tacos and other delights. A group of professional rope skippers from Hong Kong were brought in for a live performance, which featured thundering music and acrobatic performers rolling and tumbling and dancing as ropes skipped and twirled all around them. 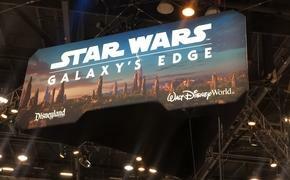 I’ve never seen anything quite like it; fast-paced and athletic as can be. Emily Mo (red dress) of the Hong Kong Economic and Trade Office, Toronto, poses with friends at a Chinese New Years event in Toronto. Overall visits to Hong Kong last year were up 11.4%, with visits from mainlanders climbing 14.8% to 51 million. U.S. visits were up 7.1%, for a total of 932,000 American visitors, while visits from Japan went up 4.8%) and Thailand visitation was up 4.5%. Michael Lim, The Hong Kong Tourism Board Director for Canada, Central and South America, said Canadian visits rose 2.1% last year versus 2017, rising to 377,992. Hong Kong is famous for its festivals, which go on all year. Hong Kong Arts Month is coming up in March, along with Art Basel. After that is the Rubgy Sevens tournament. Summer is Dragon Boat time, while the Hong Kong Cyclothon goes in the fall, as does the massive Hong Kong Wine and Dine Festival. The Hong Kong Pulse Light Festival takes place in winter. Lim said there are great new tours for visitors to take that will show the diversity and cool things to do in Sha Tin and the Urban New Territories. He also played a very cool travel video for the audience, which features a fast-motion tour of the bustling, fun Sham Shui Po area. 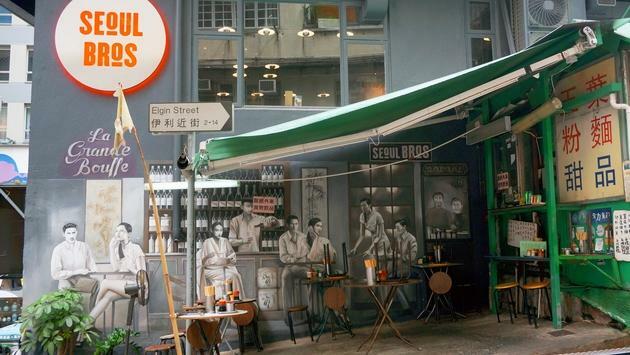 Hong Kong is full of vibrant, fascinating neighbourhoods. Dozens of new hotels also are coming soon, including a St. Regis and a Rosewood. Lim also talked about and showed wonderful photos of Hong Kong’s surprising natural areas, which occupy a huge portion of the destination and offer surprisingly great hikes, surfing and other activities. I’ve taken hikes on Hong Kong Island and many other islands in Hong Kong, and they’re all terrific. "Hong Kong ranks third as a global destination for Canadian exports of services, with the exports to Hong Kong reaching CAD$2.9 billion in value in 2017,” said Emily Mo, Director of the Hong Kong Economic and Trade Office in Toronto. “In addition, Hong Kong has also been Canada's eighth largest merchandise export market, particularly for high-quality frozen beef, fish and seafood," Ms Mo said. Overnight arrivals from the Mainland were propelled by the opening of the Hong Kong section of the Guangzhou–Shenzhen–Hong Kong Express Rail Link and the Hong Kong–Zhuhai–Macao Bridge.